The second level. 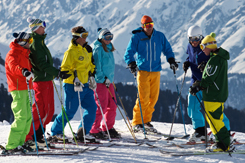 Receive the best ski tuition on your way to an internationally recognised ski instructor qualification. 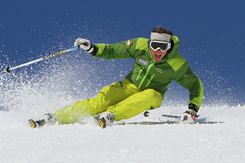 The BASI Level 2 Instructor course has been designed to help you gain the skills and ability to teach people to ski/board on snow. This course follows on from the BASI Level 1 Instructor course, which is a pre-requisite required to attend unless you have approved equivalence from another system. 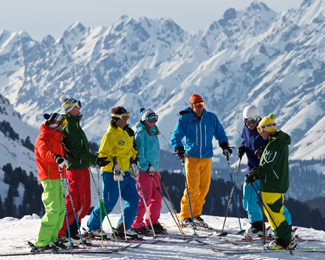 The course is physically demanding, as you will spend two blocks of five days involved in lectures, self study, skiing/riding and teaching. While it is not necessary to be an amazing athlete it does help to have a good level of personal fitness which in turn helps to reduce fatigue and the potential for injury. You can greatly help yourself by being familiar with the BASI manuals and in particular the fundamentals of technique and the Central Theme. Your experience of teaching will be developed and it will be a help to have at least thought through a few scenarios and how you would go about teaching a group. 10 days of quality training. 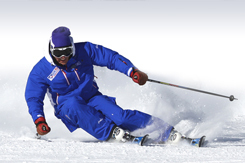 Assessment to the BASI Level 2 criteria. A typical day would involve a 9.00am start approximately and on snow training will continue to around 3.30pm which includes a break for lunch. The classroom sessions will normally start at 5pm and will last up to two hours. Students may then need approximately one hour further preparation and self study. The plan for each day is shown overleaf. It should be noted that this is a guide that may be worked to suit local conditions and resources. Classroom work will focus on the course workbook and performance analysis includes video debriefs. 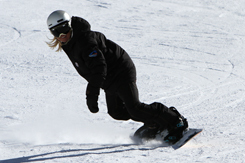 The on snow course runs from Monday to Friday with a two day mid-course break on Saturday and Sunday. The assessment criteria for the course will be explained by your trainer. Further information on assessment is contained in the course workbook. At the end of the course you will be given guidance on actions to continue to improve your performance. In some cases students may not pass the course and further training may be recommended. Our aim is to assist you to gain the maximum from the training. Your trainer will act as your guide and mentor throughout the course. Elements of the course will be challenging and sometimes difficult. Nevertheless, please remember that you have a dedicated team supporting you and your success is our success.